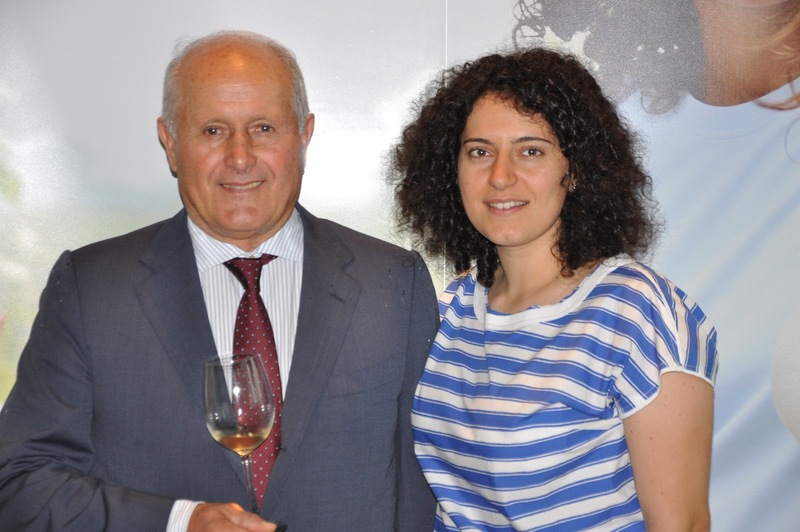 Recently, I was lucky enough to sit down and chat with the charming Elisa Scavino – family proprietor, along with her sister and Father, of the legendary Piemonte producer, Paolo Scavino. Elisa, ciao bella! I want to start this interview off a little differently than others I’ve done. In advance of speaking with you, I solicited my Twitter followers for questions they’d like asked. I thought this one was rather interesting. I always find the vineyard choices made by winemakers who have various options interesting. For example, if “Producer X” recently purchased a vineyard, maybe I should be paying attention. 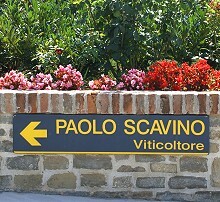 In Scavino’s case, you recently started producing a Barolo Monvigliero from the Verduno commune in the north. Monvigliero is a re-discovered, formerly historic vineyard, correct? What drew you to this vineyard, so out of the standard area? 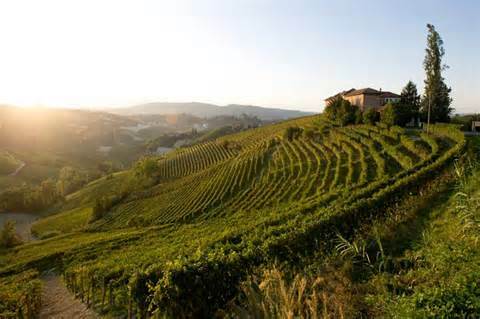 The Monvigliero vineyard is an historic and prestigious cru among Barolo lovers coming from a small commune, Verduno located on the northern boundary of Barolo region. We enjoyed beautiful Barolo from the Monvigliero vineyard for years before having the lucky chance in 2000 to rent a small plot of this cru. It’s just a little more than half a hectare with quite old vines. The soil is very complex and fine there, limestone mixed with chalk and with south-east exposure. There were all the conditions to make a great wine in addition to the excellent reputation of the area. We were blending the Monvigliero into our Barolo and then decided to make it as a single vineyard wine. Finally, 7 years later, we bought it. We feel this vineyard adds great value to our estate. Many top winemakers source their Barolo from Serralunga, (i.e. Gaja, Giacosa and G. Conterno). 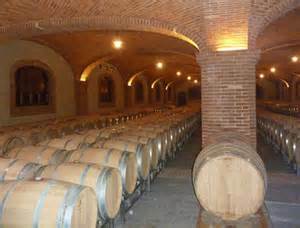 You also have parcels of some famous vineyards in Serralunga. What are they, and what wines are they blended into? What characteristics does the Serralunga fruit add to the finished wines? Yes, we have purchased 3 small plots of vineyards planted with Nebbiolo in Serralunga: Prapò, Cerretta, and San Bernardo. The Prapò and Cerretta were planted in 2010, so they are new vineyards. Part of San Bernardo was planted in 2009 and 2010 while the largest and the oldest part of this cru were planted in 1946, 1964, 1968. The San Bernardo (old vines) has been blended in the Barolo since the 2009 vintage. San Bernardo gives Barolo with intense aromatics; a “vertical” nose with notes of licorice, and roses. So very elegant but also piercing. The structure has a beautiful depth with high definition and linearity. The Barolo from San Bernardo adds lots of complexity and tones in our Barolo. 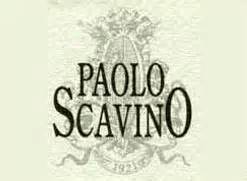 Many are critical of Scavino’s Barolo because they find too much oak in your wines. How do you react to that and what is Scavino’s stance on barrique aged Barolo versus Botte aged Barolo? Do you consider yourself a traditionalist, a modernist or somewhere in the middle? Do you take different stylistic approaches regarding oak with your various Cru Barolo? And if so, why? We believe the quality of a Barolo resides in the terroir and in the ability of a winemaker to grow exceptional quality grapes. The technique of winemaking or aging is a mean not an end. We never try to do stylistic wines as “traditional” or “modern”. Our aim is to make Barolo which express, in a pure way, the terroir and the complexity, elegance, and identity of the Nebbiolo grape. This is one of the reasons we have many Cru wines, to show the differences of the terroirs. Likewise, vinification and aging are the same for all our Barolo, precisely to underline vineyards diversities. Ok, so then let’s talk more about the styles your vineyards give. Which vineyard produces your most approachable, feminine Barolo? Which one produces the most masculine longest lived Barolo? The Terlo vineyard is one of our great vineyards and it goes into the Barolo. This vineyard is in the Barolo municipality and it’s on a gentle slope, a fresher area, where here the vines are very old. In the warmest years we have fantastic Barolo from this site, with aromatics that are ethereal, fine, continuous and very elegant. The texture is very fine, tannins precise and acidity refreshing. Because of its finesse, definitely this is one of the cru which can be the most charming, feminine, and expressive in its youth. The Bric del Fiasc vineyard is the one that, among our crus, gives Barolo with the most “classic” structure. Bric del Fiasc is in Castiglione Falletto in the center of the Barolo region where the soil is very complex and a mix of Marne di Sant’Agata fossili (limestone) and Arenarie di Diano d’Alba (calcareous marl with yellowish strata of sands). The texture of this cru is always very interesting to me. There is a good “nerve” and deepness due also to tannins that are a little bit more pronounced and firm but also evident pulp that soften up the austerity of this cru. In the aromatics it’s more reserved and little by little opens up showing great finesse, and a balsamic, complex nose. Let’s discuss the 2008 vintage specifically. I recently tasted several dozen 2008 Barolo, including several Scavino wines, for an Article I wrote. The vintage seems to be outstanding. Full of fruit for near term enjoyment but with excellent structure for aging potential. How do you feel about 2008 for Scavino? We feel 2008 has been one of the greatest vintages for Barolo ever. We loved it since the beginning. It’s a classic Barolo vintage, where the vegetative cycle was long, regular and led to Barolo with an absolute balance and elegance. This vintage combines fine, complex, fresh and vibrant aromatics with multilayered, though ethereal, structures where tannins and acidity are very harmonious. What are the challenges facing Scavino today? We are always detail oriented. We are replanting plots in two of our most important vineyards. We made our own vines, selecting the rootstock and grafting the vines with marze from massal selection in our vineyards (no clone). We want to have vines that naturally, spontaneously produce moderated quantity and the most sparse bunch so the air and sunlight pass through and the ripeness is homogeneous. In this way we believe there is a natural balance limiting the human intervention to control the vigor and productivity. Many years ago, most of the vineyards were planted with very productive clones because the philosophy at that time was about producing quantity instead of quality. To produce quality grapes, one had to do exasperated green harvest, wasting energy instead of using it for the benefit of the clusters. So you’ve made your own vines? In essence a “Scavino Clone”? What is “marze from massal” and how is this accomplished? Essentially that’s right Giovanni. Marze are “pieces of shoots, each with 2-4 buds” from old vines that we have selected and pruned in the winter and then grafted onto our own existing rootstock. We have made our own plants. What about challenges facing the Barolo zone specifically? It seems to me that higher pricing is alienating some consumers – do you think pricing is getting too high? I asked this same question of Cristina Oddero and I think she replied candidly. It’s an interesting perspective to hear from producers on this topic. I think Barolo’s value is appreciated both in the most established markets as well as in the in new ones. Prices are highly competitive in relation to the other greatest wine of the world and in general we’re seeing a growing interest toward Barolo. Production is very limited and this effects pricing as well. Your website says: “Our core belief is the supremacy of the viticulture above the oenology.” What do you mean by that? We mean that we believe the quality we get in our wines depends on our vineyards, on growing grapes of exceptional quality. It’s a complex process of course with many factors involved. The terroir in the Langhe area is unique and our indigenous grapes, particularly Nebbiolo, do not perform nearly the same in other parts of the world. It means we are privileged and our major resource stands in what Nature can offer us. Picasso has said: “Painting is stronger than me, it always succeeds in making me do what it wants”. I think Nature works in the same way. We do not try to force it but we try to read it in the most respectful way. Of course it takes a great winemaker to valorize what has been grown in the vineyard. I love that. I love that answer. It transcends so many different aspects of what goes into making great wine. Nature, tradition, passion, art. In our Barolo we are blending the best performing plots of seven different vineyards: Vignolo, Altenasso, Rocche Mariondino from the Castiglione Falletto commune. Terlo, Vignane, Albarella from the Barolo commune and San Bernardo from the Serralunga d’Alba commune. The plots that don’t perform at the level of quality desired, in fact, are sold to larger wineries. The diversity of soils, exposure and altitude characterize each of these small but very important vineyards. Unifying these diversities, the Barolo offers normally great harmony and complexity with an overall character of the zone. I agree, no one should refer to a Barolo as normale. In my opinion there doesn’t exist a Barolo which is normale! Your father started working with your grandfather at age 10, in 1951. He has over 60 harvests behind him! That is amazing even as I say it. That breadth of experience is extraordinary and invaluable. Your father is now 72 and still putting harvests behind him. What are you and your sister Enrica doing to learn as much from him as possible? What specific knowledge do you still feel the need to acquire? To be born and raised in our reality already offered to me and my sister Enrica, the chance to get involved in the everyday work of our parents since we were young. We learn a lot everyday from our father Enrico, working with him side by side, but the most precious thing he transmitted us is the passion for this work and the love and respect for our land. All lifelong is a learning experience and still my father who is 72 years old never stops to observe and feel for what he does. Working alongside your sister cannot always be easy. How is that? Is there ever any sibling rivalry? There has never been a moment where we were not supportive of each other. Enrica started working earlier than me in our family winery and she addresses all the energy in communication and working on the market for selecting the right channels to distribute our wines. Like my mom, she has strong beliefs and she is a great taster. We have different character, but we totally share the same vision. We complete and balance each other a lot. Sometimes, like my dad, I can be so focused on what I do that I lose the contact with reality and she brings me back there! What specific roles do you and your sister fill in the winery? Enrica first studied languages and started in 1994 to work with our family. At the beginning she dedicated a few years mainly to the production side to know and learn more of the details of that process. Then she dedicated herself mostly to the marketing and administrative side. I studied viticulture and enology and started in 2005 with my first full time employed harvest! I knew since I was younger I wanted to follow the production because that is my passion. For two years now I am also supporting my sister with some of the travelling since she had a baby, Giacomo. That’s right. It’s a fun job! Many winemakers I’ve interviewed have been concerned with the increasing issue of global warming. How much of an issue has that been for Scavino? What are you doing to counter the effects of the hotter summers and drier winters? There has been a change of climate quite evident and we are facing it in the vineyards by managing soil and canopy to minimize it. That said, in the last 20 years we had strings of great Barolo vintages and just a few episodes that were quite concerning. 50 – 60 years ago we were workingthe soil twice a year. In the ’70s and ’80s until middle ’90s there had been a cycle of very rainy years. In those decades the “solution” was in the grassing of the vineyards. The grass consumes water which helps dry the soil. In the last 15 years the climate changed again and my father Enrico decided to work the soils more in order to keep the moisture and avoid hydric stress for the vines. This is not a mathematical rule to follow blindly, in fact it depends on the amount of snow and rain we have during the winter and spring. Many estates are also turning to organic and/or bio-dynamic winemaking principles. Green manure practices, natural yeasts, sexual confusion techniques to ward off insects, etc. How does Scavino approach this? Do you employ similar techniques? We absolutely do integrated pest control. We have always been sensitive to work in the most respectful way for the human health and the environment. Some of those practices, principals of organic and bio-dynamic agriculture, have been part of our tradition forever. As you know Copper is a heavy metal and unfortunately it is very polluting for the environment because it’s not processed by the soil and it accumulates. The research is ongoing and there are some molecules that have been selected which do not impact human health and are degradable. There are also new generation products that increase the production of phytoalexin for self-defense of the plant and which are natural extracts. Obviously your father, Enrico, is the winemaker. I’m curious what he thinks about the way Barolo has changed over his 60+ years living in Castiglione Falletto? What is his opinion on the various proposals that have been suggested to allow Barbera or (worse) Cabernet to be blended into Barolo? If he weren’t making wine in Piedmont, what other wines would he like to make and where? My father Enrico started working when he was 10 years old in 1951. He has personally lived the great evolution in the Barolo area. He inherited from my grandfather a great passion and the ambition to make quality wines, even in the past when this concept was not always rewarded or recognized. It was very difficult, at that time, to imagine the exposure that Barolo would reach today. Since then my father sees more attention and care addressed to the vineyards, more hygiene in the wines and an overall increase of quality. My father, as well as my sister and me, are absolutely against blending other varietals into Barolo. It does not respect the history of our region and also, in our opinion, there are not other varietals that can blended with Nebbiolo and give better wines then Barolo. We love Nebbiolo in it’s purity. It’s perfect as it is. Finally, I ask this question of all my interviewees: On a regular basis, when all the work for the day is done in the vineyard and the cellars – what do you and your family like to drink? Almost every day, also during lunch or dinner, we blind taste each other on younger vintages of Barolo from cask and share opinions, in addition to the tastings we do on a regular basis. We enjoy drinking wines from other producers in our region as well as Friuli’s wines. Plus, different and several wines from Italy, Gruner Veltliner from Austria, Riesling from Austria and Germany, Champagne and of course, always, we love Burgundy whites and reds. I’m not surprised at your Dad’s comments about Burgundy, or yours. I have heard lots of winemakers compare Nebbiolo to Pinot Noir so it is not surprising at all. Grazie mille Giovanni. Thank you from our hearts on behalf of my father and my sister for your care and interest in our story and wines. It’s a great honor for us and we very much appreciate your professionalism and passion. Elisa, thank you so much for your time and wonderful answers. I look forward to drinking and reporting on your wines for years to come. Salute! A fascinating read – many thanks John! 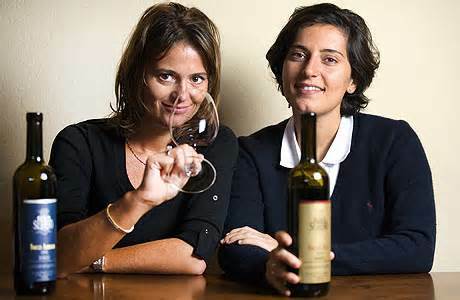 I have meet Elisa and Enrica when visiting the estate a few times and it is a treat every time. I almost persuaded Elisa to come to Stockholm last year when I had my tasting dinner with 12 vintages of Bric del Fiasc – http://barolista.blogspot.se/2012/02/tasting-dinner-with-12-vintages-of-bric.html – but it was about the same time at the christian of Enricas son, so it was not to be. Thanks for your intresting interviews, even if I don't comment on all of them! Thanks Joakim. I work hard on these interviews so that they come out well and I hope people enjoy them. It's fascinating speaking with the winemakers and owners of these great properties. I try to publish one per month and have many more interesting ones coming up including: Fanti, Pio Cesare, Monteraponi, Isole e Olena, Ciacci, Sequoia Grove, and more. So stay tuned! Elisa and John, this was amazing, and I feel so inadequate to comment, but let me just say thank you, and also for the poetry and the pedagogy of this comment: "Our aim is to make Barolo which express, in a pure way, the terroir and the complexity, elegance, and identity of the Nebbiolo grape. This is one of the reasons we have many Cru wines, to show the differences of the terroirs. Likewise, vinification and aging are the same for all our Barolo, precisely to underline vineyards diversities." I liked that too. I know some people dislike the use of barrique for Nebbiolo, but when you have the chance to taste the entire line of Scavino Barolo, which I've done twice now – and you can taste them one after another, the differences do present themselves. Especially in the tactile sense – the powdery, clay, shaley aspects of the wines that are all dirt/soil driven. That's what I love about wine. Always different. Always unique. Otherwise if not, you have Budweiser. Thanks for a great interview! I loved her response also to the nebbiolo grape. We are looking forward to meeting Elisa and tasting her wines in November! Thanks Mike. I'll keep em coming!